Crystal Wood is a Chicago native who grew up with music in her blood. At the age of ten she started her traditional music training. She is a classically trained oboist, violinist and voice instructor who also teaches beginning piano for the “newest aspiring virtuosos”. Most recently, Crystal has been working as a vocalist and outreach coordinator for the nonprofit CAMMO (Center for American Military Music Opportunities). While with CAMMO, she also performs nationwide with the vocal groups “Voices of Service” and the “American Military Spouses Choir”. Screen credits include: America’s Got Talent Season 8, the Military Channel, Hallmark Home and Family, the PBS Kennedy Center Lincoln Awards, Oprah’s Life You Want Tour and the Queen Latifah show. In addition to her screen credits, she also travels the country with the American Military Spouses Choir and has performed at the following venues: Kennedy Center, Radio City Music Hall and Capital Records with artists such as the Cincinnati Pops, Jewel, Aloe Blacc, Chris Botti, David Foster, Arturo Sandoval, Chaka Khan as well as many others. 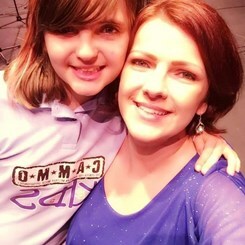 One of the most rewarding roles she has experienced is as co-director/teacher for a children’s choir called “CAMMO Kids”. “CAMMO Kids” is a completely volunteer run children’s choir that offers music education for the children of military families for free. This is a cause that is very near to her heart because she has been an active duty Army spouse for 14 years and is a mother to an eleven-year-old daughter. Overall, Crystal believes that music fundamentals are critical and lay the foundation to become successful. Perhaps more important, Crystal believes that music should be FUN. She is full of energy and strives to not only teach the technical aspect of music education, but constantly encourages students to go above and beyond what they thought they were capable of. Her goal is to not only teach, but to develop her students into confident young people. To her, music not only develops the mind, but also touches the soul. Request Lessons with Crystal today!